I have a confession - I am and always have been afraid of the Easter Bunny. As a child, I had nightmares of this giant bunny bringing me a basket of colored eggs. It always confused me as Bunnies don't lay eggs and why were they so colorful? I look back at my childhood photos and I am either crying or have the look of panic in my eyes every time my photo was taken with the Easter Bunny. When I was growing up, my family always had a huge Easter dinner. We generally went to my Grandma's, where the 13 Grandchildren would have Easter Egg hunts while the adults cooked the feast. I don't recall once finding the Golden Egg. My Father passed away in 2003 and this Easter would have marked my Fathers 62nd Birthday. It is hard to believe the last Birthday we celebrated with him was 10 years ago. Mom remarried in 2005 to a wonderful man who happens to be Jewish.While we have huge Christmas dinners and celebrate Hanukkah, Easter has been pushed to the side. Last year we went out to Easter Brunch. This marked the first time in my life eating Easter Brunch out at a restaurant. While I miss the traditional Easter dinner, I really liked this option (no dishes!). My family is coming to Tampa again this year to do Brunch with us. There are so many options out there so I thought I would put together a list! Flemings has a 3-course menu for $36.95 from 11:30 a.m. – 3 p.m. You will also receive a $25 dining card valid for a future visit! 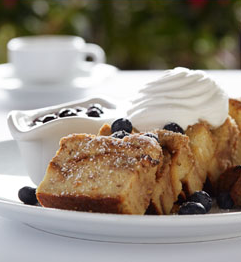 The menu consists of everything from Lobster Bisque, Filet and Eggs, Brioche French Toast and more. This is an amazing deal and you will save money on your next visit to Flemings! Oystercatchers is known to have the best brunch in the bay. I have dined there for lunch quite a few times and I am obsessed with their seasonal oyster selection. 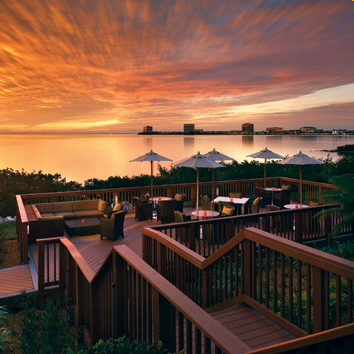 On Easter Sunday, Oystercatchers will feature their champagne brunch which includes limitless champagne, mimosas, bloody mary's, various brunch stations, a raw bar and caviar They will also have two meet carving stations and higher end items on their Easter brunch, $69 a person. It is a little pricier than other options on this list but in this case, you honestly get what you pay for. 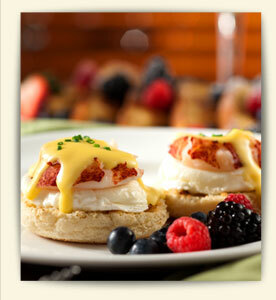 Capital Grille has a Easter brunch buffet that sounds out of this world. $49 for adults, $15 for children includes a carving station featuring Kona crusted tenderloin, a raw bar, Lobster Benedicts, made to order omelets, chocolate dipped berries and more. Parking bonus - since it is Easter Sunday, parking will not be as crazy at International Plaza! What could be better than celebrating Easter at a Churrascaria - Brazilian Steakhouse? Unlimited meats (everything from filet, signature sirloin, lamb, pork loin) and on Easter Sunday, they have included Eggs, breakfast potatoes, bacon and sausage. Not to mention, the best salad bar you will ever experience. If you are part of TDB's email club, you will receive an email which will give you a free desert and unalcoholic drink! This brunch is valid from 11:00am - 3:00 pm and is $42.99 per person. Roy's Hawaiin Fusion has a two course Easter Brunch for $29.99 a person, 11:30am - 2:30pm. Their menu consist of a variety of non-tradional and traditional brunch items such as Pork Belly and Eggs (!!! ), Filet or Crab Benedict and French Toast. You will also receive a $25 gift card for your visit. Pelagia Trattoria is offering a fixed price Easter buffet all day long! The Buffet begins at 10:00 a.m. and ends at 9:00 p.m. for $49 adults, $18 children and each adult will be offered a complimentary glass of sparkling wine. Pelagia will offer a made-to-order omelet and egg station which converts to a pasta station at 3 p.m. There will be carving stations with oven-roasted turkey, prime rib and honey-glazed ham. 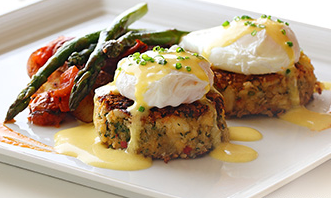 A chilled seafood selection will also be offered along with Eggs Benedict, Crab Cakes and much more. With Easter only 4 days away, I think it is time to select where we will be eating this year! If I had my way (enter hissy fit throwing, I don't want my photo taken with the Easter Bunny), it would be Oystercatchers. I have a weakness for caviar and champagne. Yummy. We're actually going for dinner Saturday night. I've never been and am pretty excited! Um....no! We have to change that instantly. OMG just $49 for Capital Grille?! That's a steal for sure. Right!! My parents decided to come into town, so now I sit here with no reservations, trying to pick one! Andddd, I think you just convinced me to go to Carmel Café for brunch one day. I am going with Blaire and Kerry to Pinky's on Easter, but Carmel will remain in my mind for the next weekend I have free...whenever that happens, heh heh. Also, your first two paragraphs cracked me up. I was actively laughing. I loved the Easter Bunny and wanted him around all the time!! I can't wait to here about your brunch, especially if you make the choice I think you will... Woohoo! And Oystercatchers will have to wait for another night! My parents decided to come into town :) It's currently between Texas de Brazil and Flemings. I'll be thinking about you on Sunday Megan.....this is such an awesome list of restaurants! If we weren't cooling dinner I'd definitely hit up one of these!!! NeighborFood Tampa Discount Code and Giveaway! What's in your fitness closet?